I'm not sure if you're familiar with "virtual mother's group", Circle of Moms, but if you're a Mum and you haven't heard of it, head over for a squizz. 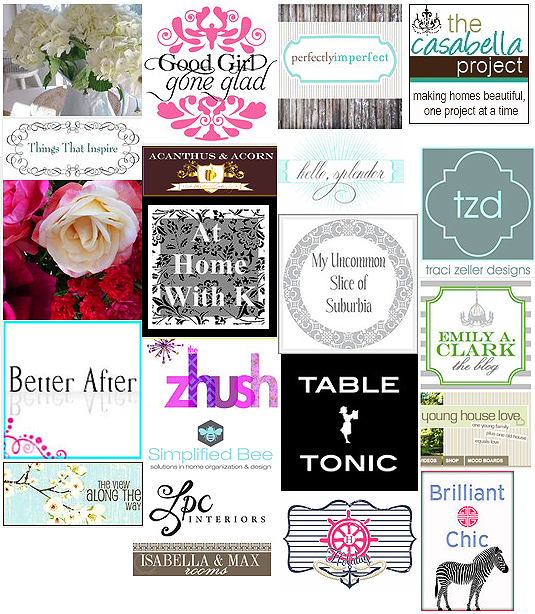 As I mentioned a few weeks back, Circle of Moms recently conducted a poll of sorts, to find the "Top 25 Home Design Moms" blogs, and I'm so pleased to announce that Table Tonic made the top 25, coming in at number 19! But what this means for you, is that there are now 25-plus great home design blogs just waiting for your visit. Click here to check out the full list of nominees, in order of popularity. Awww, this is great, I will check them all! Congrats!!!!!!! Congratulations! Thanks for the link as I've not heard of some of these blogs. Congratulations! I will check out the other sites, too. It is always exciting to discover new blogs. Fantastic! Congrats and thanks for the links!